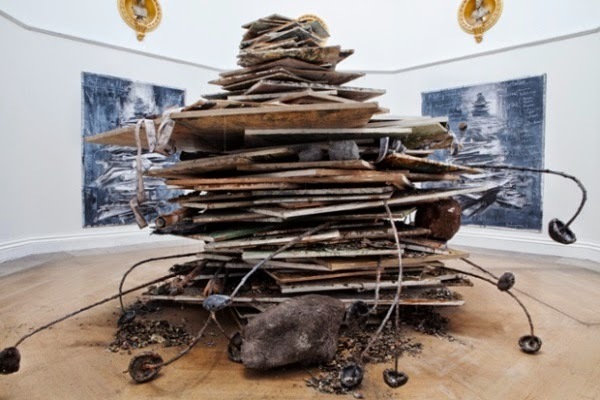 On Wednesay I went to see the Anselm Kiefer exhibition at the Royal Acadamy. It was actually a school trip as a part of our art GCSE coursework but I'd been meaning to go anyway, so it was quite convenient. 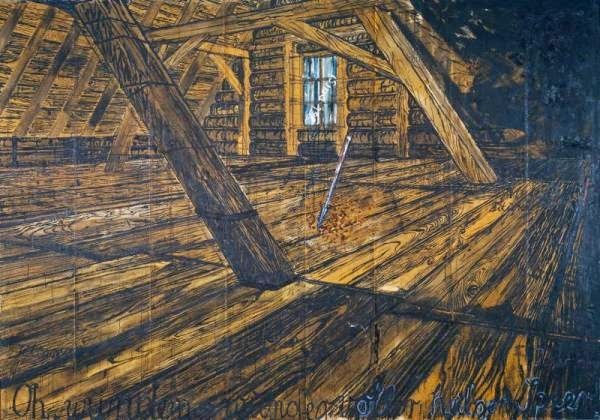 The German artist works on a large scale with both paintings and sculpture. The bold use of texture worked in harmony with the fairly muted colour palette to create expressive and interesting pieces. 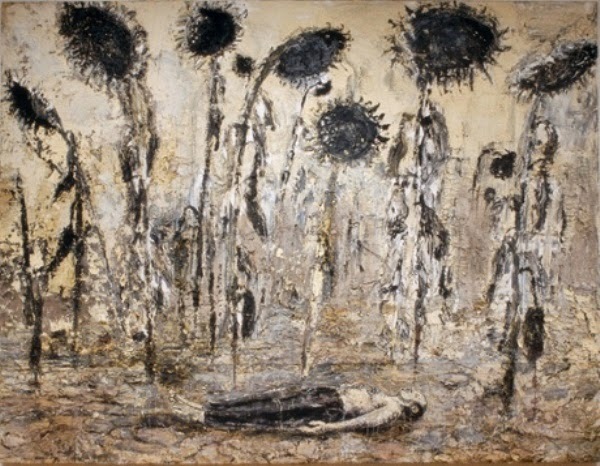 Kiefer incorpirates words into many of his pieces, meaning he can explore poetry and philosophy further, by transferring it visually into his art. I loved the exhibition, and my favourite part I couldn't actually find any images of. But there were these stunning books made of plaster and canvas, filled with dreamy watercolour paintings and I really want to create something similar as a project soon. 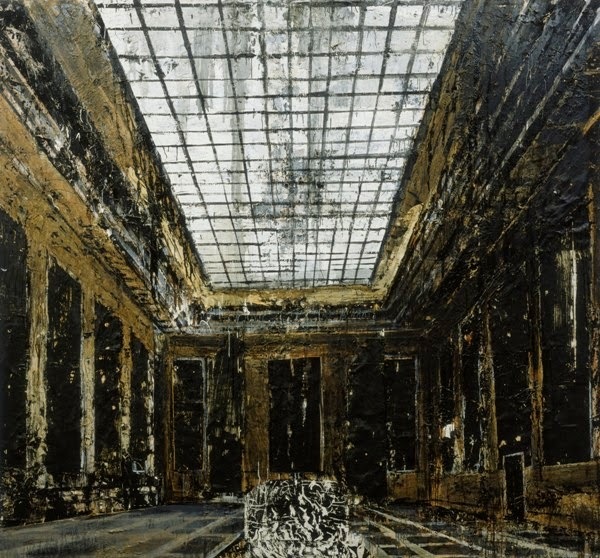 Have you seen the Anselm Kiefer exhibtion? Did you like it?